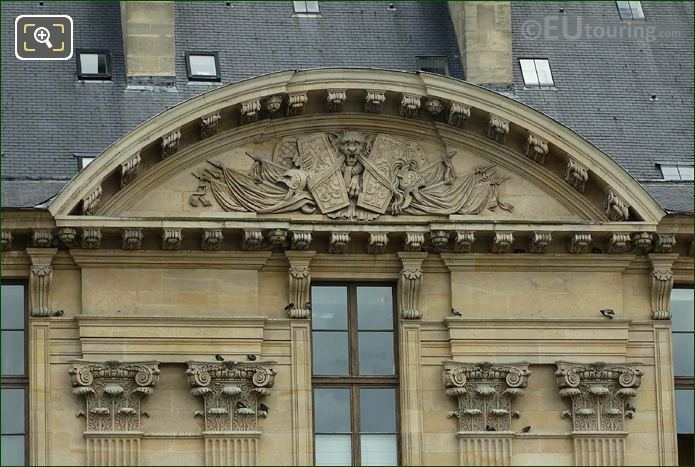 We were again at the Musee du Louvre in the 1st Arrondissement of Paris, when we took these high definition photos showing a pediment sculpture called La Force by Combette. 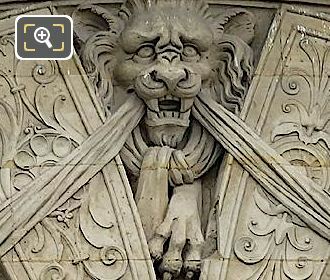 This first HD photo shows a pediment bas relief sculpture that was named La Force, which in English translates to The Strength or just Strength, and as you can tell, this can be found by the roof line on a facade of the former Palais du Louvre called the Aile de Rohan. 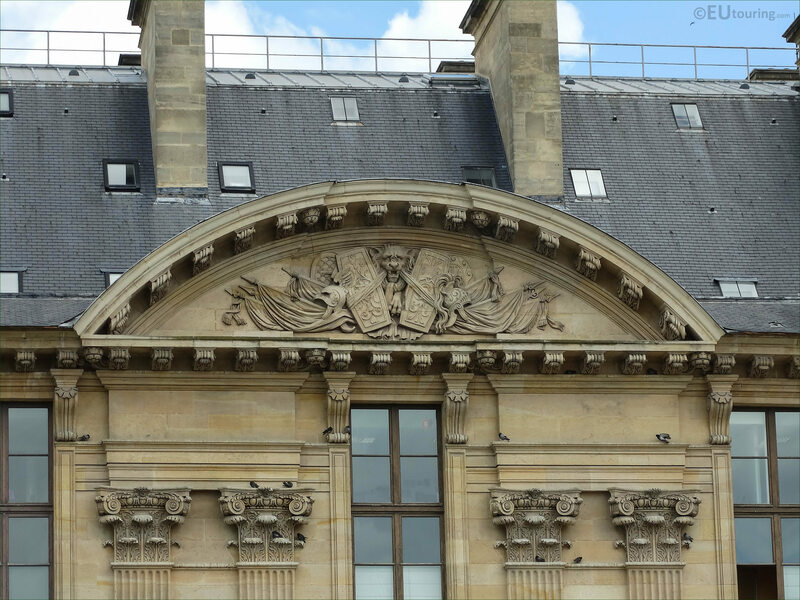 Now this is actually the southern facade of the Aile de Rohan, and you can see this from the courtyard called the Cour du Carrousel, with this particular pediment being located fourth from the left hand side as you are looking at the wing. 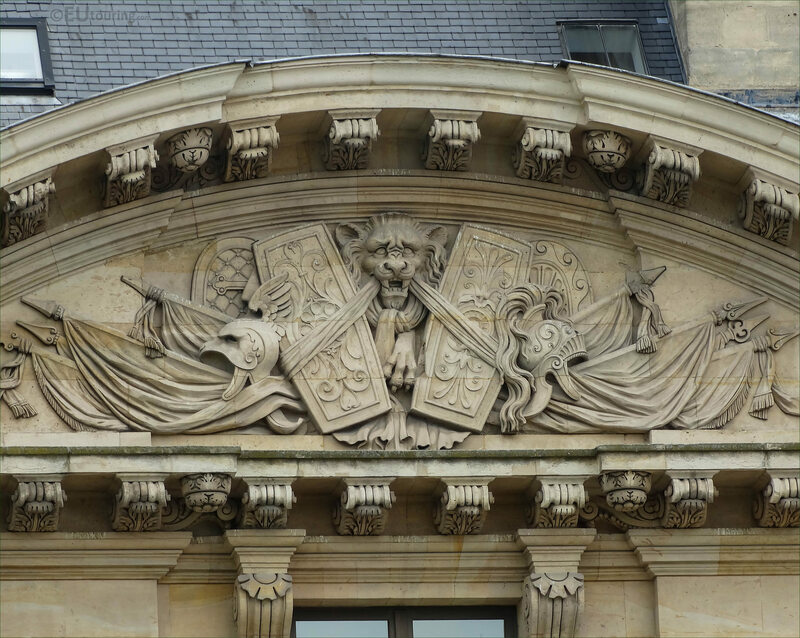 The artist who produced La Force was a French sculptor called Combette, but unfortunately we have been unable to find out much about him, but as you can see in this close up photograph, the bas relief is an allegory with a rather vicious looking animal in the centre surrounded by shields helmets, etc to depict force or strength in battle.